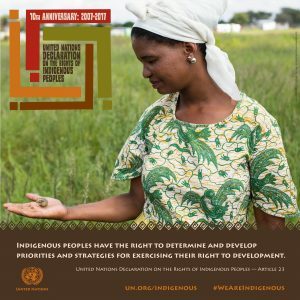 This year is of particular importance, as it is the Tenth Anniversary of the adoption of the United Nations Declaration on the Rights of Indigenous Peoples (UNDRIP), and at the same time the theme of the event. 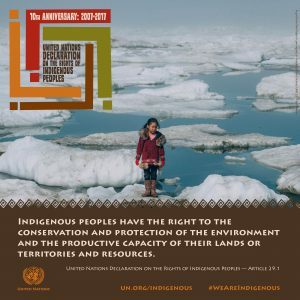 A backgrounder on the tenth anniversary of the UNDRIP is now available in English, French, Spanish, and Russian. 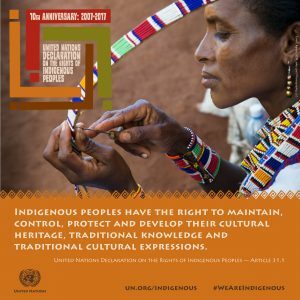 A high-level segment that will include interventions from UN officials and the Chairperson of the UN Permanent Forum on Indigenous Issues. 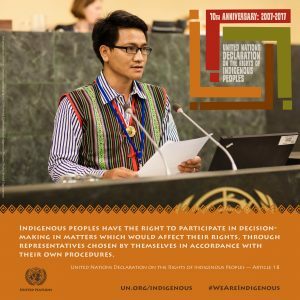 A panel discussion on the successes and challenges faced in the implementation of the UNDRIP over the past decade. 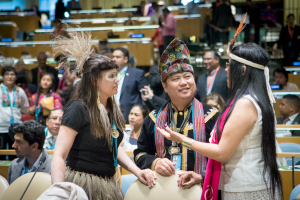 The panel will include the participation of guest panelists ranging from government representatives to indigenous experts from the different regions of the world. 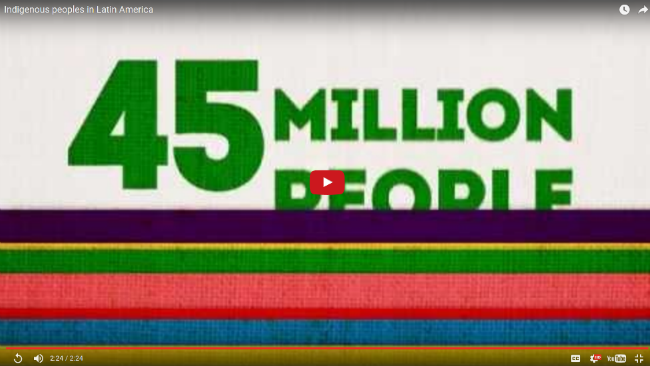 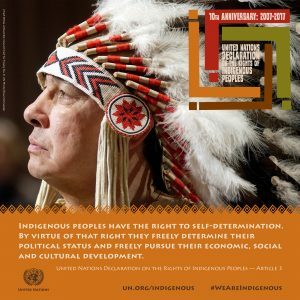 More information can be found at the International Day dedicated website. 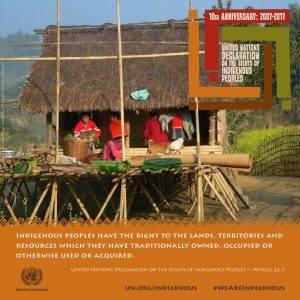 World still lagging on indigenous rights 10 years after historic declaration, UN experts warn (Joint Statement by the Three UN Mechanisms on Indigenous Peoples). 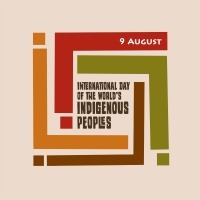 We are partnering with Twitter on an International Day emoji to be launched on 8 August. 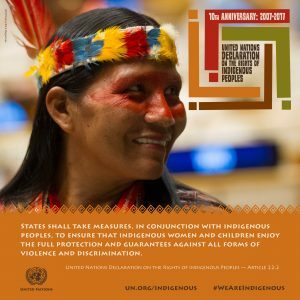 The emoji will follow our branding and will be linked to the hashtags #WeAreIndigenous #SomosIndígenas #autochtones #IamIndigenous #SoyIndígena #InternationalIndigenousDay #IIPD2017 #DIPI2017 #PueblosIndígenas #DíaInternacionalPueblosIndígenas. 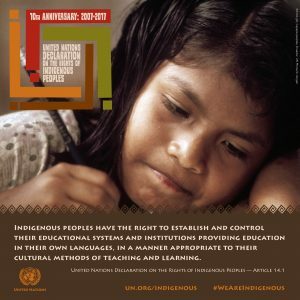 The emoji will be launched on @UN4Indigenous and @UN on 8 August and will be available through 11 August.